Home > Vitamins & Your Health > Folic Acid-Why Do We Need It & Where is it Found? It is well documented that folic acid, or folate as it also known as, is good for health, especially when pregnant, but many people do not realise that this substance is in fact a water soluble version of vitamin B9.A water soluble vitamin must be consumed everyday as these types of substances cannot be stored within the body for us when needed. Why Do We Need Folic Acid? For those who aren’t pregnant, it is still important to ensure folic acid is taken in the diet, if not as a supplement as it plays a significant role in cell maintenance and production, especially during cell division and growth. 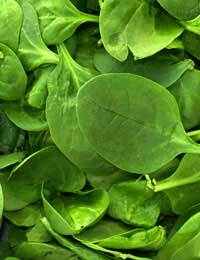 Folate works in combination with another vitamin called B12, working together to produce healthy red blood cells. Most adults gain the required amount of folic acid by eating a balanced diet, it is however to take too much folic acid also. The actual consumption of a high level is not dangerous in itself, but can act as a mask for anaemia, which occurs when the levels of vitamin B12 are too low. Folic acid can essentially cover up this deficiency and cause the person to develop symptoms of anaemia. Why Do We Need More When Pregnant? When a woman is planning a pregnancy or has obtained a positive pregnancy test, a daily supplement of folic acid should be commenced straight away. This is because folic acid has been found to play a major role in the development of the neural tube in a growing foetus. The neural tube is the first growth of any type of central nervous system in the developing embryo. As it grows it eventually becomes the initial stages of the brain and spinal cord. Any defects caused in this development because of a lack of folic acid can cause the unborn baby to develop spina bifida or may increase the chance of a cleft palate. This supplement can be bought from supermarkets and chemists for a small fee, but can also be provided by your healthcare provider, though a prescription may cost more than a retail outlet if prescriptions are paid for.The supplement can be stopped after the twelfth week of pregnancy in most cases as the neural tube has fully developed at this stage. It is because of this early development that women are advised to begin taking supplements before conception occurs. Folic acid is found in many natural sources, but often in very small amounts. When additional folic acid is required such as when planning a pregnancy or when pregnancy has been confirmed, it can be taken as a supplement.Natural sources of folic acid include green vegetables such as spinach, broccoli and sprouts, sunflower seeds, dried beans and in many cereal products. Folic acid is something that most people associate only with pregnancy and are unaware that all humans have a requirement. As long as everyone is enjoying a well balanced healthy diet containing plenty of green vegetables and cereal products, they shouldn’t need to take a supplement unless they are planning to become pregnant or are already.